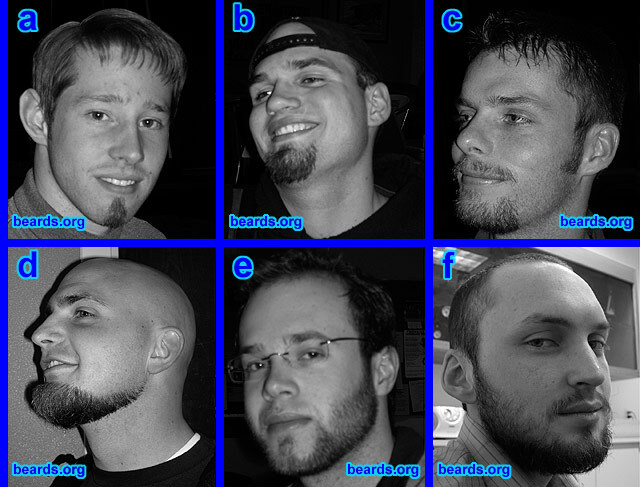 Weber State University students exhibit different styles of beards: a. Rodney Sharp with the soul patch; b. Isaac VonLeu with the partial goatee; c. [name deleted] with the full goatee; d. Jeremy Burgener with “the modern Lincoln”; e. Niels Lund with the short beard; f. Talmage Garn with the full beard. PHOTOS BY MATT HANDY. Text and photos used with permission. All text and photos are subject to this site’s conditions of use.